Colorful new kicks may look sleek on shelves and in the pages of our magazine—but how do you know which ones are best for you? By running in them, of course! But with so many styles, it’s not practical to test out every shoe. When you’re buying a new pair, it can be tough to even know where to begin. In an effort to help you narrow down your search, we worked with Julie Cattell from Milestone Running, a running store in San Diego. 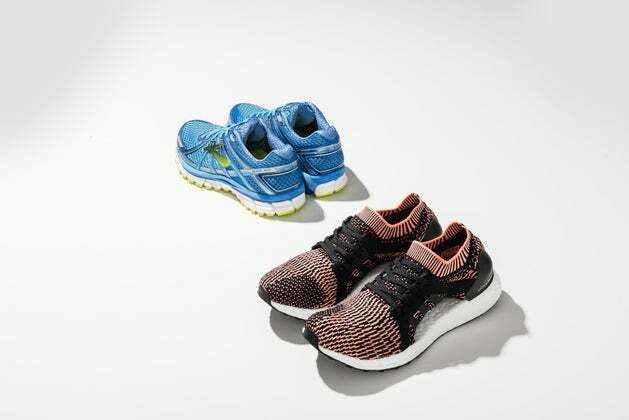 Using real runners as our guinea pigs, Cattell recommended shoes that met their basic needs and then they chose their favorite styles. Milestone Running was opened in June of 2013 in San Diego’s North Park neighborhood by Chad Crawford and Greg Lemon, whom Cattell calls two of the coolest guys on the planet. Cattell was the first employee at the community-centric store. 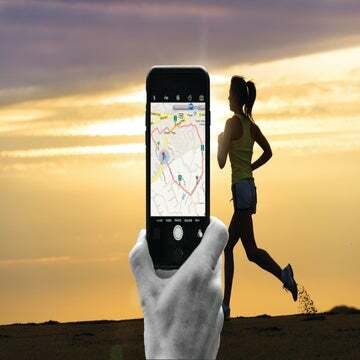 “The owners both have a passion for the sport and being good to people and the community they live in,” says Cattell, who’s worked in the running industry for nine years. 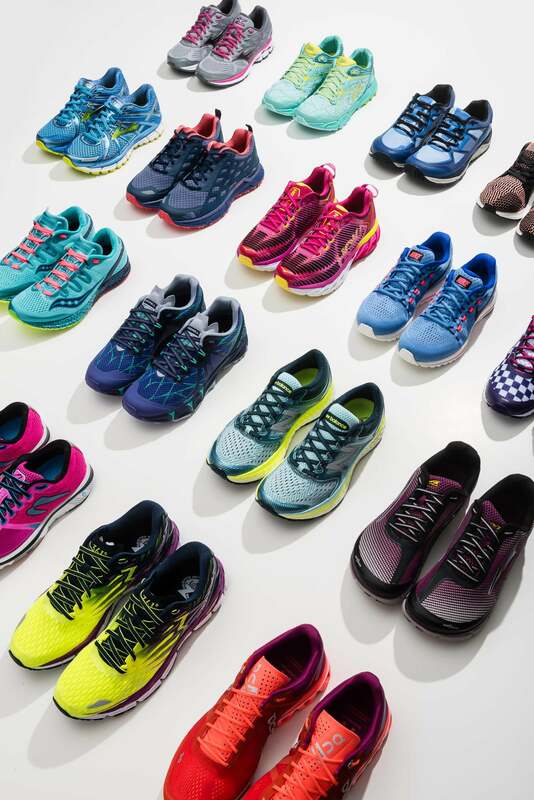 If you’re in the area, stop in for a shoe fitting—Milestone Running’s specialty.. 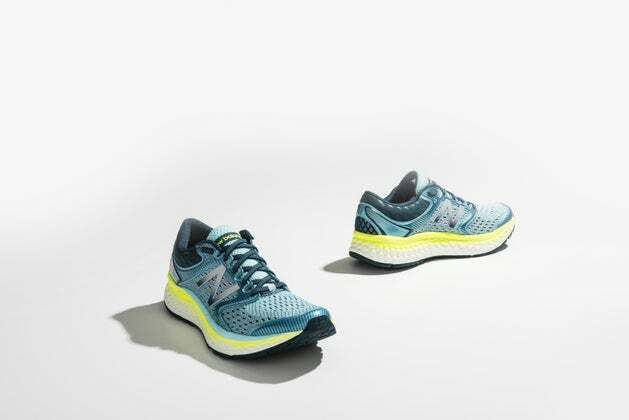 Whether you like extra cushion or a firmer structure; whether you’re ramping up for a major race or working through injuries; or whether your ankles roll or you hate heavy footwear—we’ve got you covered. No matter your feet, there’s a shoe that’s sure to fit! 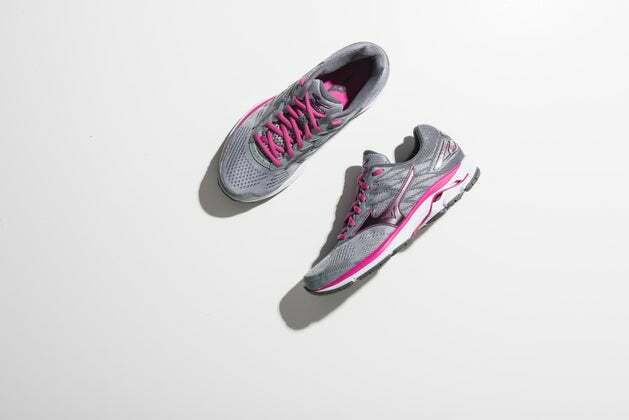 The 56-year-old resident of Proctorville, Ohio, looks for more supportive and structured shoes to help with over-pronation and ankles that roll inward when she runs. She laces up four times a week. Her weekday runs are between 4 and 6 miles with longer runs on the weekends. Scholl loves to race and is tackling her first 10K trail race in July. She wears a size 9.5. Julie’s guidelines: I recommend shoes that address Alison’s over-pronation. Scholl gave these a 10 out of 10 in her review! She was instantly wowed by the combination of lightweight cushion with just the right amount of supportive structure and noticed an immediate energy boost—almost like being propelled forward—in her stride. The shoes had that supportive feel she loves without seeming clunky. That combined with a ‘cook looking’ package will make this pair her go-to shoe for half marathons. These took a couple of runs to break in, but by the third time lacing them up, Scholl appreciated the fi rm base, as it made her foot feel more stable—likely thanks to the added arch support. She likes these for shorter runs. 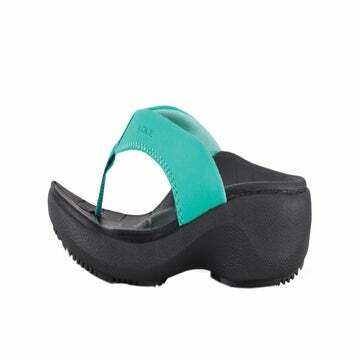 Because she could feel the ground underneath her feet, these are helpful when Scholl wants to work on her running form. This 45-year-old resident of Washington, D.C.—who also happens to be WR’s art director!—runs to clear her mind. Her current goals are running more than 3 miles pain-free and possibly tackling the New York City Marathon for her 50th birthday! After spending several years recovering from chronic injuries, Douglas is picky about her footwear. 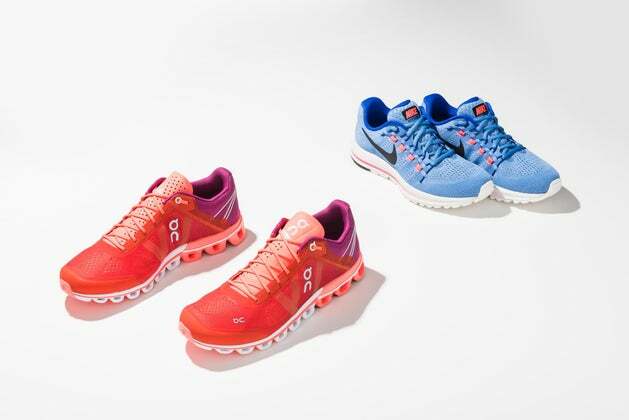 She wants lightweight shoes that work with her custom orthotics and let her feet move naturally. She also likes a snug fit and wears a size 8.5. Julie’s guidelines: Erin should try a neutral shoe rather than a stability shoe as this will work better for her orthotics. She could try shoes with different levels of cushioning to see what she likes best. For Douglas, testing the Nike Air Vomero was like coming home. She actually has purchased three versions of the shoes and swears by the model! The new design lived up to expectations with good arch support, medium-plush cushioning and improved traction on wet surfaces. 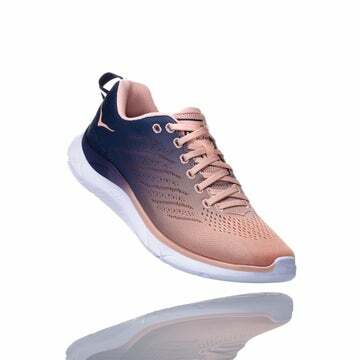 Her favorite aspect is the “Nike Flywire,” which has cords attached to the laces that can be tightened to cradle your mid-foot, providing zero in-shoe slippage, even when striding downhill. These roadrunners made Douglas utter the magic words, “I felt fast for the first time in a long time!” The proprietary sole design, which includes little rubber rings that contract upon landing and expand when you take off, made Douglas spring o the ground with every step. From the just-enough cushioning to the secure fit, these shoes were a winning experiment for Douglas. She also said they had good traction on wet roads. The one drawback was she prefers thicker shoelaces. “Fantastic” traction helped Douglas feel confident running over loose rocks, mud and roots on her favorite trail. The kicks offer a sweet spot between structured and lightweight, and Douglas reported that she felt at once sturdy and agile. Her narrow foot loved the tight fit around the heel and the roomy front, which gave her toes enough room to relax. The laces have a bit of give, allowing the wearer to get a good, locked-down fit. Johnson, 44, is a deaf mother of four who teaches middle school at Minnesota State Academy for the Deaf (MSAD) in Duluth. She says the rhythm of running is like music to her as she runs both road and trail. 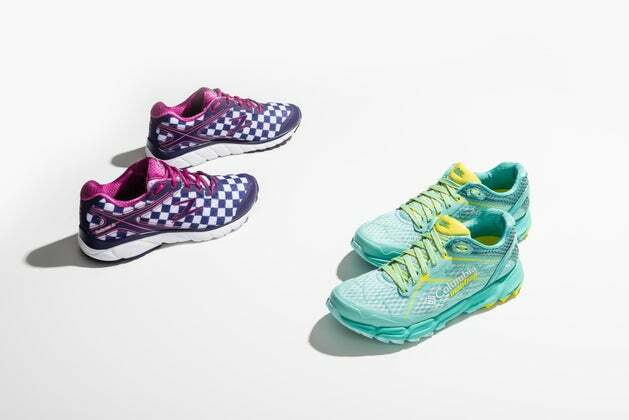 She likes shoes with soft cushioning and support for her low arches, and it’s important for her to have high-quality, lightweight shoes that don’t cause blisters. With narrow feet, she also gravitates toward styles that make her feet feel secure in the shoe. Her biggest concern is staying healthy, so she can keep running and racing. She wears a size 9.5. Julie’s guidelines: My recommendation is for slim-fitting (based upon other styles she likes), cushioned shoes. According to Johnson, this pair felt comfy from the very first steps. With good cushioning and felt comfy from the very first steps. With good cushioning and ankle and arch support, her feet were just as happy after a long run. She tested them on dry, wet and snowy sidewalks and roads, as well as on a gravel trail, and felt confident and secure with the traction. 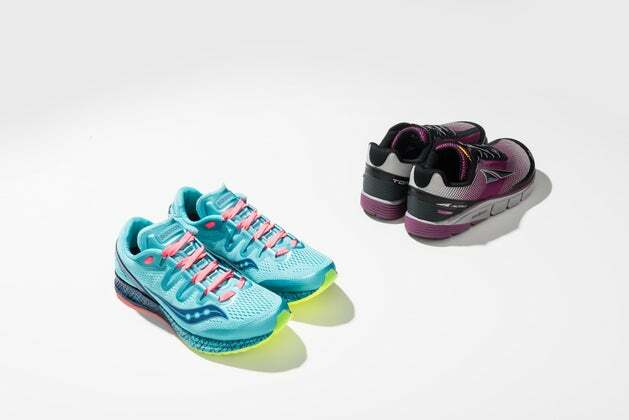 “I’m very happy that I found a shoe that fits me well for training runs and races,” she says. With no tongue and a slipper-like design, Johnson noted that these speedsters are quick to get on and take off. Thanks to a stretchy knit, they offer a hug-your-foot fit that Johnson loved. She said they managed to make her feel both faster and like her feet were getting cozy in her favorite sweater. Johnson calls the cushion “amazing” and says she felt like she could run forever. Her only drawback was the price. WR’s senior marketing manager runs to stay fit and mentally strong. “Whenever I have an off day, I know a good run is almost always the cure.” The 29-year-old lives in San Diego and says her favorite race was her first marathon at Rock ‘n’ Roll San Diego last year. She has plantar fasciitis and gets sore feet if her shoes don’t have enough cushioning and some supportive structure. Keilman also looks for shoes that “aren’t too heavy and have a cool design.” She wears a size 7.5. Julie’s guidelines: I suggest shoes with a higher heel-to-toe drop and a bit firmer cushioning—but not too firm—based upon her plantar fasciitis issues. 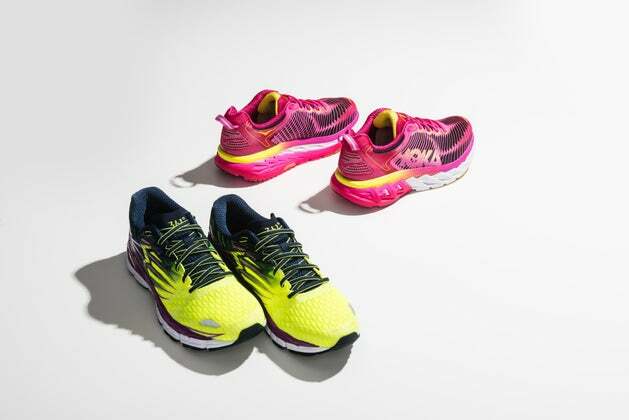 According to Keilman, the cushioning in these is just right and provides “exactly the level of support I need,” especially considering the light weight. She says these performed well on the treadmill and roads, even wet ones, and that these will be her next training shoes for sure. They also work for cross-training and are a great value! Keilman calls these her “favorite trail shoes”—and that’s from someone who admits she can be somewhat uncomfortable off-road. The shoes’ thick tread (thanks to lugs that point in different directions) provided excellent traction on gravel, loose rocks and sand. However, Keilman says this pair is best for outdoor use only (they didn’t feel great on the treadmill). She also said the fit cupped her foot nicely and was true to size. Talk about testing—Keilman wore these for a 5K and thought they performed wonderfully. She loved being able to race (and feel fast!) in a shoe without sacrificing comfort. Her favorite aspects were the slightly squishy cushioning combined with the light weight and “energetic design.” They fi t a little snug in the toes at first try-on, but the mesh relaxed by the third wear to give her foot enough room to breathe. As a 37-year-old working mom of two, Peoples views running as her “me time.” She’s an avid half-marathoner, marathoner and even does triathlons. The Houston resident, who ran 3 miles for the first time in 2014, is also a USATF Level 1 coach and loves to encourage other women, especially moms, to be active. As far as shoes go, Peoples is easy to please because her feet are blissfully problem-free. That said, she’s not a fan of a thin or firm sole, and she prefers lighter styles. When buying shoes, she focuses on comfort, pricing and color. She wears a size 8.5. Julie’s guidelines: Since Nikki wears neutral shoes and does not have foot issues, she has free rein to play with different styles. The boxier look of the Torin was an adjustment for Peoples: “The shape of the shoe may look funny but your toes will thank you because they won’t feel cramped!” The real surprise came when her steps per minute increase from an average of 159 to 180 when wearing these shoes—proof that a little extra cushion won’t slow you down! Peoples also felt that the pair helped her maintain a straighter posture and loved the “perfect length” of the laces. 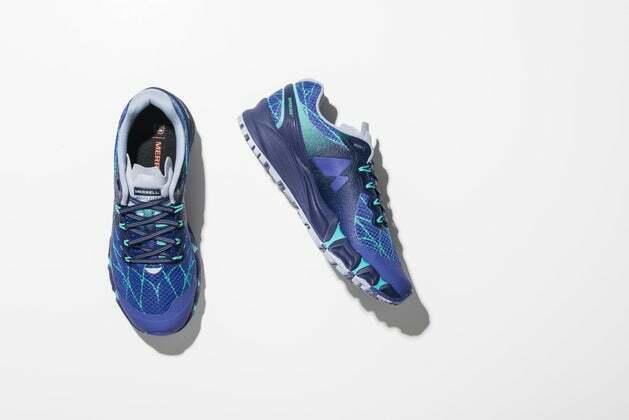 “This shoe is one of the best my feet have been introduced to since I began running three years ago,” Peoples says. 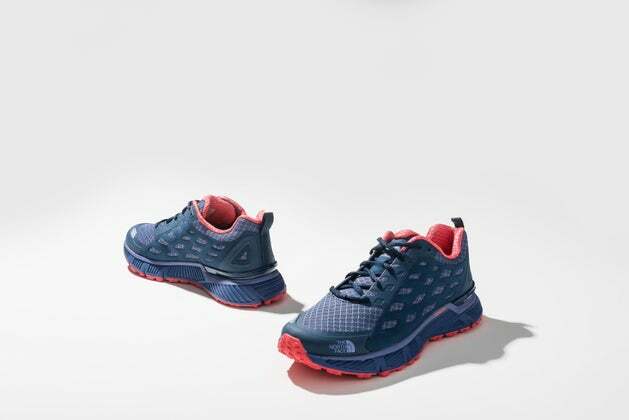 She also announced these as her new marathon shoe—it helps that she ran a 5K PR while wearing them! The plush cushioning felt like running on clouds. These nimble road shoes also helped Peoples keep rubber to the road with no slipping, rolling or skidding, even on wet pavement. These run about half a size small, so try on before you buy. Gnarly off-road conditions, rocks and roots are a whole lot more fun when tackled with plush cushion and a grippy sole. Peoples rated these high in the protection department (her feet felt nice and secure even when striding on challenging surfaces). The trade-off is a clunkier feel. Peoples’ only qualm was the heavy weight, which she felt slowed down her stride. 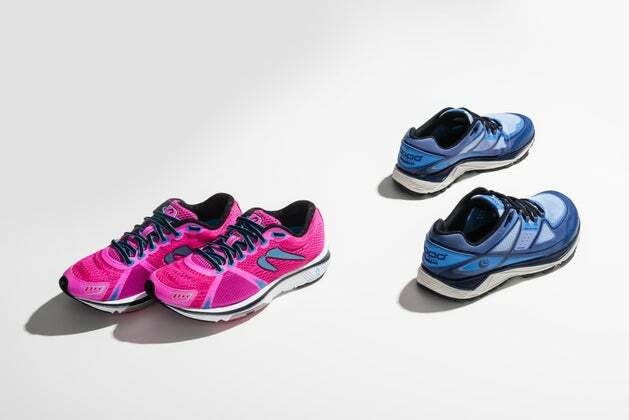 Although these shoes didn’t fit the bill for our testers, we also loved these new styles. Two are Cattell’s favorites (she tested a number of pairs sent to the testers as well), while our author loved the Newtons. I’ve been incorporating lower-drop shoes into my rotation to switch things up and stretch tight calves. (A lower drop means the ankle has to bend and do more work.) The raised forefoot pods promote a forward lean and give my stride an energetic boost.